Now inhale, take in a whiff of the strong smell of herbs blended in with the steam from the pot, taste the spices perfectly infused into the hot buttery smell of the rice in the back of your throat. Can you taste it? That is Jamaican Food being cooked my friend! 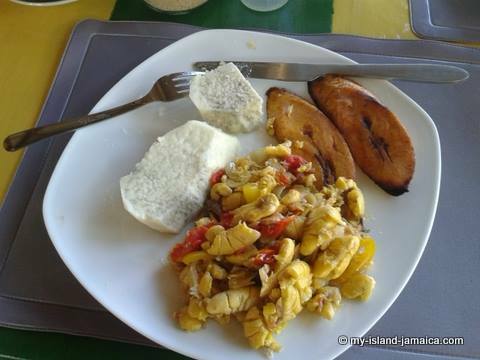 Jamaican food is all about spices and the blending and mixing of ingredients from the land of traditional techniques and methods. The use of spices originally started as a part of the preservation process of meats, however, the flavourful aroma and taste resulted in the spices remaining, not only a permanent part of the Jamaican cooking, but to almost being sacrilege if not used in cooking. 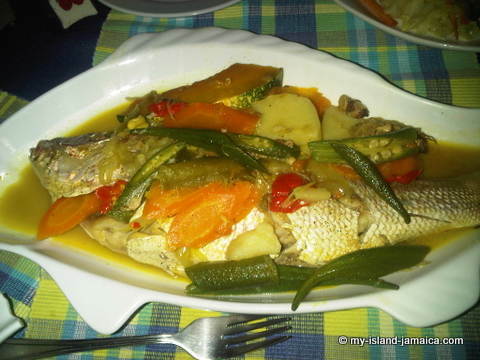 Yes, Jamaican food has to be nicely seasoned and spiced up! Of course, the Europeans (mainly the Spanish and the English) brought their own styles of cooking foods to Jamaica which quickly got infused into the culture. But, let us look at a typical Jamaican home and what their three (3) meals per day comprise of . What About The Soup Day? Tradition also dictates that every Saturday, dinner comprises of soup (red peas or pumpkin being the most popular with ‘chicken foot’, beef and chicken noodle spice). And, every Sunday is rice and peas, fried chicken with potato salad and cole slaw. Breakfast is usually had with a warm beverage whether it is tea steeped with the leaves of local fruit trees or herbs (eg fever grass, mint, lime , soursop etc), or hot chocolate, milo or coffee. And for lunch, we typically have sodas, fruit juices or water. 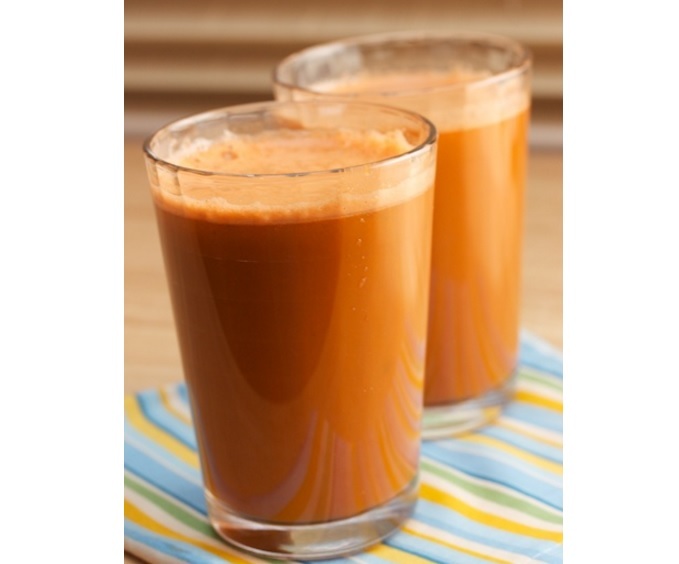 For dinner we savour the natural juices; soursop, carrot and irish moss been the most favourite. Fruit Cake – Usually more popular around Christmas time. 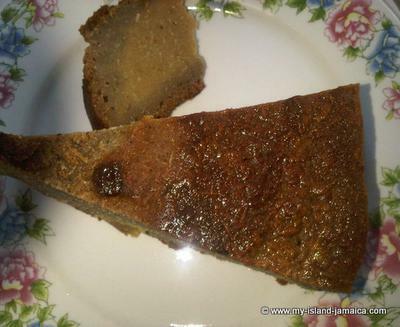 Pudding – Cornmeal or sweet potato, coconut, sugar and spices. Duckunu – Ingredients of the corn pone wrapped in banana leaves and boiled. Gizzada – A coconut and brown sugar in a pastry puff. Drops – Sliced coconut with brown sugar, boiled and laid out in sun to dry thereby setting it to a solid perfect delectable tasty treat. And even more desserts here. But this is just a quick taste. As you get to learn more about the rich Jamaican culture, you’ll, little by little, realize how important food is to our culture and heritage, without a doubt, one of the most distinctive aspects of this beautiful Caribbean island. 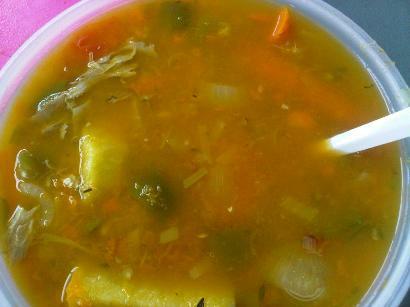 Be sure to read more about the delectable Jamaican foods here. Also, make sure to get these, a list of the top Jamaican recipes - all free! See also: What is Jamaica? 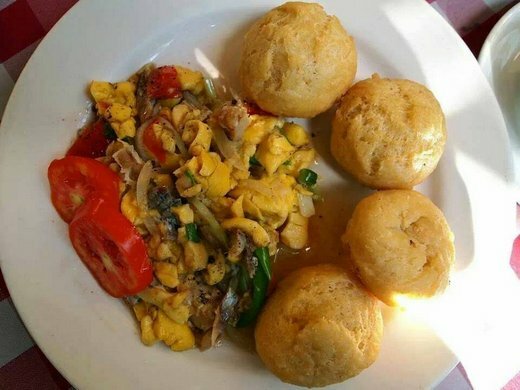 Comments for What's Jamaican Food Like? My love of Jamaican food is still with me even after 40 years ago when we left Jamaica. 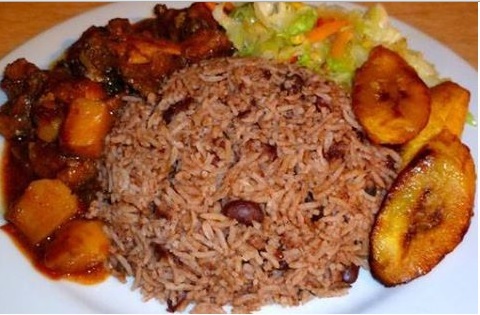 My favorite is 'rice and peas' which I make at times when I have the main ingredients. My dream is to be able to return some day to Jamaica....a beautiful country I love as much as I love my own America.